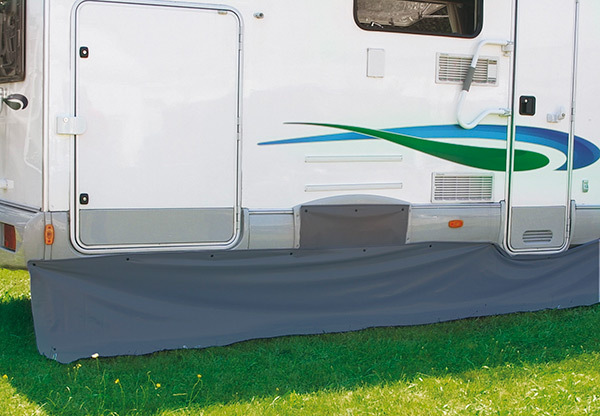 Protection against wind and rain that eliminates draught. 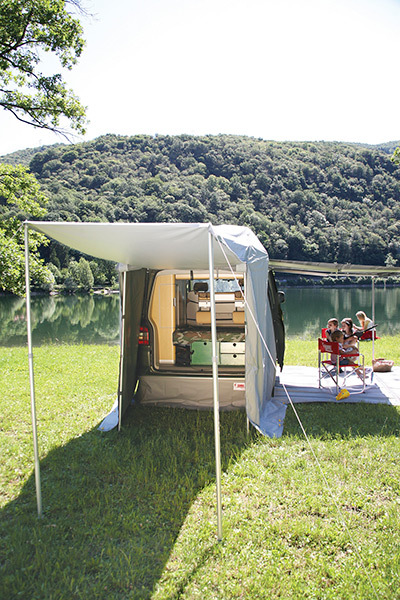 Suitable for all Fiamma Privacy Rooms and can be easily shortened. 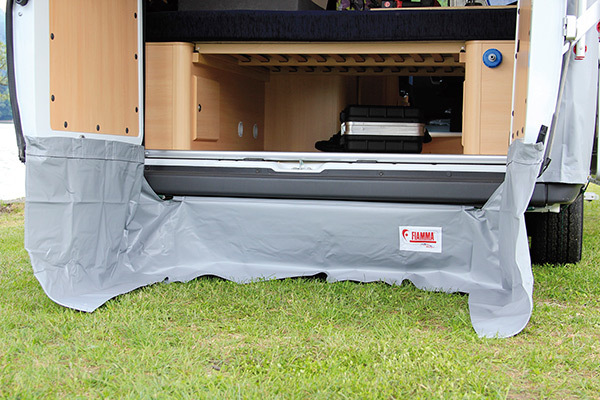 The Caravan version slides into the standard rail of the vehicle. 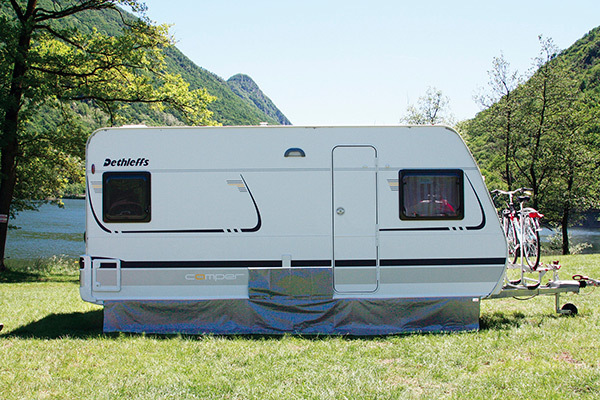 The Motorhome and Caravan versions are delivered as standard with installation kit including snap fasteners and skirting protection for the wheel arch gaps. 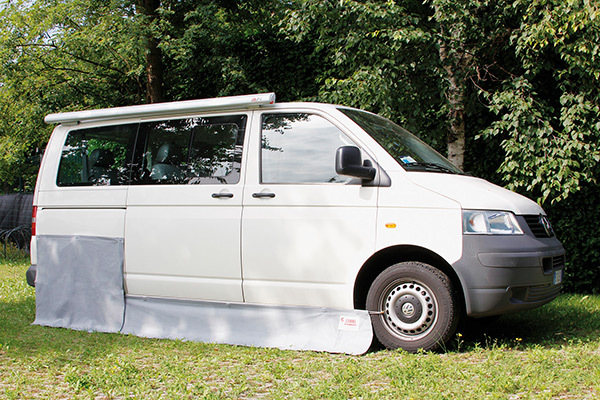 The Ducato and VW T5/T6 versions are delivered as standard with elastic fixing straps, wheel cover and magnets. 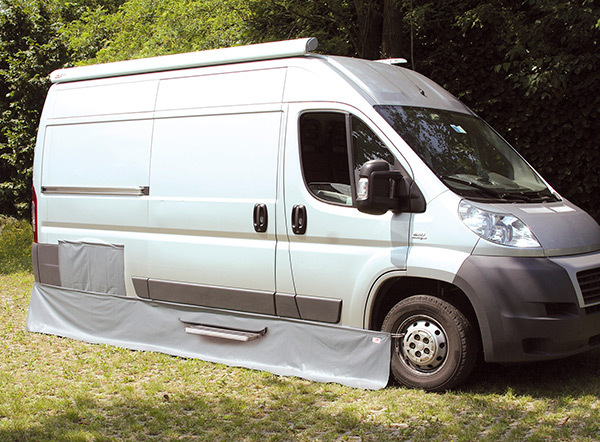 Special version for protection against wind and rain for the rear doors of Fiat Ducato and VW T5/T6.